Click the blue link below to see VIDEO of classmates dancing (from later Saturday night). The video contains 30 second clips strung together without transitions. It may not play on NON-Windows systems. This is a VERY large file. DO NOT click on it if you have a dial-up connection or are using a cell phone. Click on image to enlarge, click on enlarged image to zoom in on area. 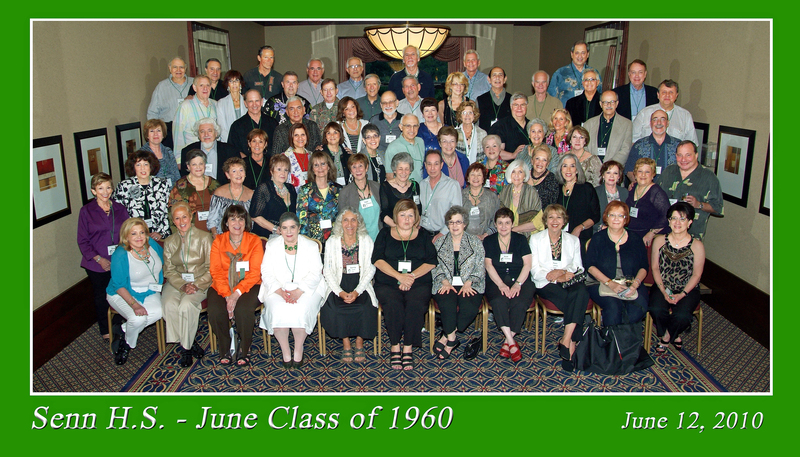 Picture 1 of 2 - all classmates (from Saturday evening at reunion). Front row:Arlene Resnick,Mark Rose,Steve Baime,Harry Eng,Merle Cristol,Harriet Leff,Donna Glaser,Ellen Klein,Debby Donberg,Steve Crane (Sam Cohen),Diane Fishlove,Buddy Meskin. 2nd row: Alan Goldberg,Marilyn Marks,Sandy Holt,Susan Cohen,Paula Cohen,Dena Criz,Serna Levine,Diane Brodsky,Barbara Gilbert,Linda Johnson,Carol Perlman,June Fomon. 3rd row: Iris Glazer,Elaine Miller,Marlene Kolton,Hal Malen,Mike Lyons,Donna Estess,Carol Aronson,Susie Weinberg,Dale Barnett,Arlene Goldstein,Maddy Hellman,Patti Fishman,Pixie Havens,Gail Cohen,Helene Gurevitz,Art Gold,Jack Gore. 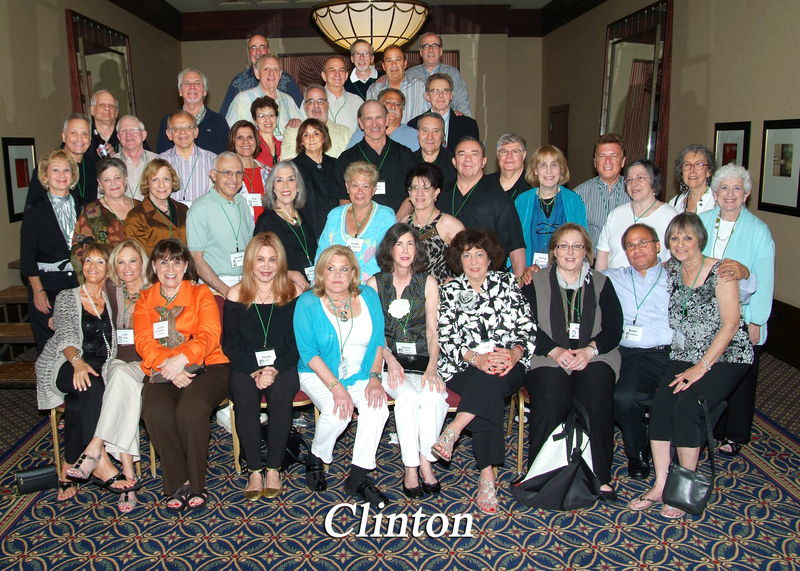 4th row: Sharon Herstein,Lynda Futterman,Neal Friedman ,Shirley Hardman,Liz Bloomfield,Carol Fox,Ricki Fine,Ilene Gordon,Seymour Horwitz,Judith Foman,Yvette Drury,Arnie Epstein,Gail Ancell,Myra Bleiweiss,Lionel Dredze,Marty Behr. 5th row: Richie Katz,Mike Levin,Jim Story,Phil Miller,Al Aven,Jill Feinberg,Marv Dickman,Harvey Cohen,Glenn Cabin,Owen Bach,Karlynne Klein,Miffie Levin,Hara Isaacson,Herb Beller. 6th row: Eddie Covici,Dave Ginsburg,Paul Moser,Allen Goldberg,Howie Carroll,Dave Miller,Harvey Herman,Pete Kaplan,Steve Silverman,Larry Keller,Mickey Hoffman,Larry Hoffman,Judy Bliss,Richie Mintzer. Top row: Ellis Edmonds,Noel Gimbel,Larry Kessler,Rich Kriozere,George Litman,George Brown,Hank Ecker,Richard Gordon,Arnie Kaufman,Ronnie Golde,Lois Faber,Jerry Berliant. Picture 2 of 2 - all classmates (from Saturday evening at reunion). Front row:Judy Perlow,Diane Rosen,Arlene Neimark,Judy Ponitch,Nancy Santo, Arde Reisenfeld,Bonnie Shapiro,Ruth Sharfman,Fern Zelmar,Sandy Witt,Bobbi Reiff. 2nd row:Sharon Brodsky,Marlene Silver,Barbara Levinson,Judy Pryor,Adrienne Kirschner,Ellyn Robins,Patti Wittenberg,Barbara Wolfson,Larry Wankowsky,Felice Speier,Sharon Weinberg,Eileen Lerner,Glorya Shorr,Bobbi Schwartzberg,Joyce Wagner,Marty Taxe. 3rd row: Barbara Shapiro,Warren Volchenboum,Phyllis Goldstein,Roz Weiss,Karen Mikell,Judi Sadoff,Ken Shere,Steph Schmahl,Sharon Romen,Bobbie Wolf,Bonnie Weinberg, Steve Sacher. 4th row: Steve Yachnin,Jerry Starr,Sharon Tucker,Stu Rothstein ,Marilyn Tempkins,Gail Sachs,Lou Gross,Jackie Stern,Mike Steinman,David Neer. 5th row: Howland Corralli,Barbara Smolen,Jim Story,Tom Tiesner,Jimmy Newman,Larry Wolfson,Susan Pritikin,Earl Rosenbaum,Rich Kaplan,Loren Schwechter, Lawrence Kirkwood. 6th row: Harry Pestine,Gary Topper,Jay Stover,Biff Tucker,Phil Miller,George Brown,Mickey Bloome,Peter Shugart. Double Click on image to enlarge, click on enlarged image to zoom in on area. 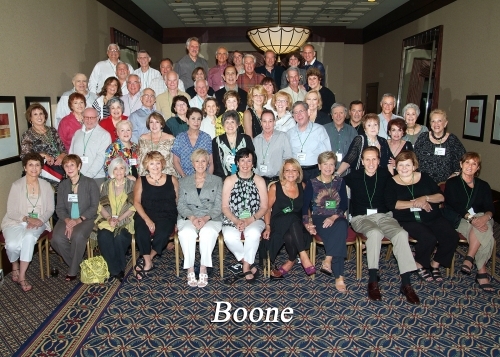 Picture of Boone school classmates (from Saturday evening at reunion). Picture of Clinton school classmates (from Saturday evening at reunion). 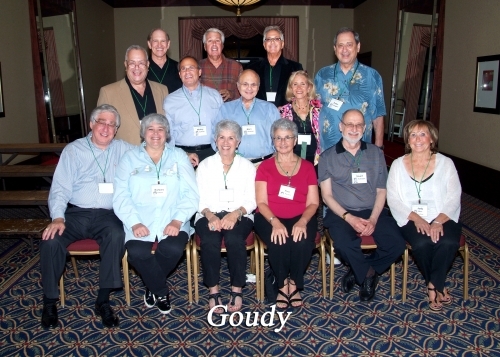 Picture of Goudy school classmates (from Saturday evening at reunion). 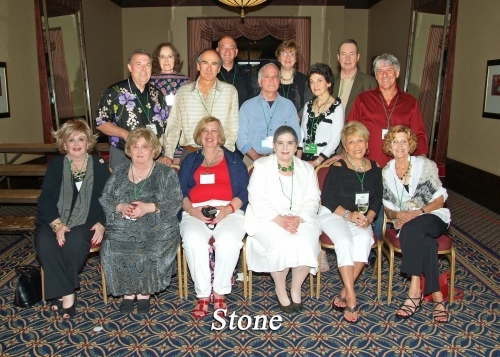 Bottom row - Ray Reiner, Barbara Gilbert, Patti Fishman, Pixie Havens, Stu Rothstein, Judy Bliss. 2nd row - Alan Goldberg, Mickey Hoffman, Marv Dickman, Jackie Stern. Back row - Steve Yachnin (not from Goudy), Ed Covici, Loren Schwechter, Peter Shugart. Picture of Stone school classmates (from Saturday evening at reunion). 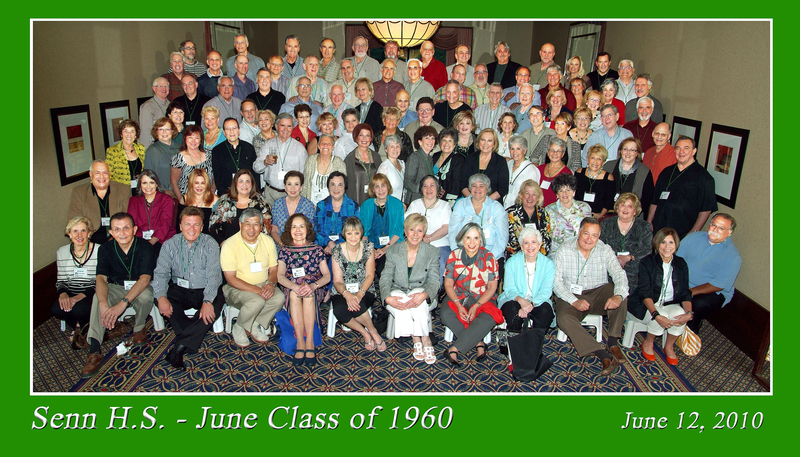 This is the group photo from our 25th reunion in 1985. It is in Acrobat so you can magnify the image for better viewing (click the magnifying glass icon with a + in it on the toolbar above the photo. Then each click on the photo will make it bigger). NOTE: This is a LARGE file. It may take a while to load and the photo may do strange things while it is loading. This is the program from our graduation ceremony on June 23, 1960. You can expand the pages to easily read the content. This is a calendar page of some of the events that happened in June, 1960. It is in Acrobat so you can magnify the image for better viewing (click the magnifying glass icon with a + in it on the toolbar above the photo. Then each click on the photo will make it bigger).